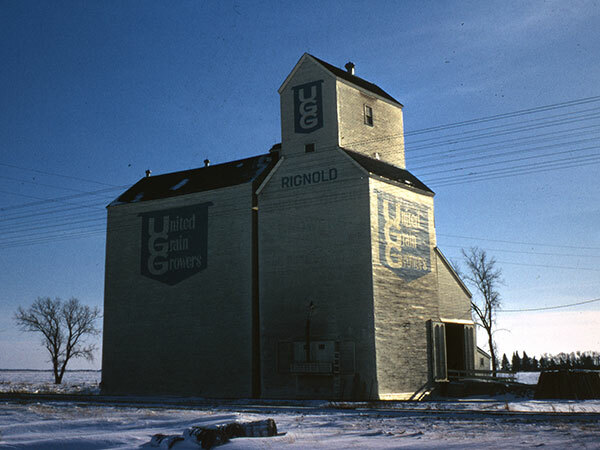 Constructed in the summer of 1938, a wooden elevator at Rignold (formerly Ridgeway) on the CNR Gladstone Subdivision, in the Rural Municipality of Portage la Prairie, was operated by United Grain Growers. 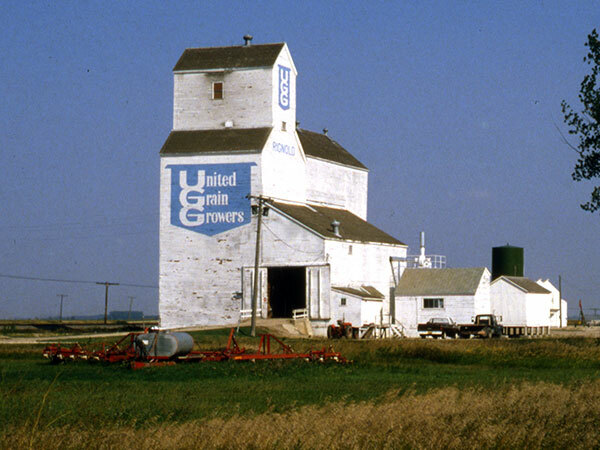 An annex was added to it in 1955, bringing its total capacity to 82,000 bushels. 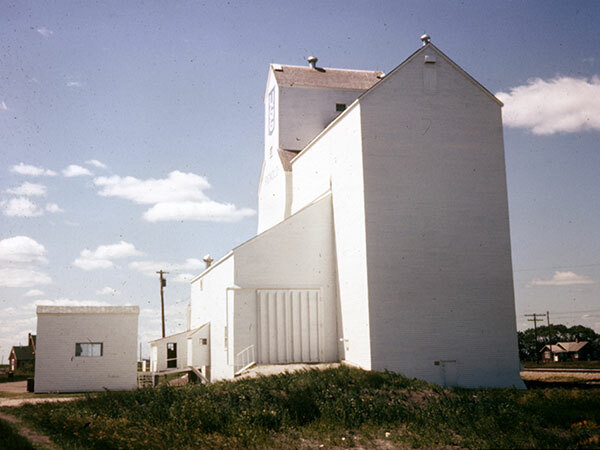 Closed in 1994, the facility is no longer present at the site. Obituary [Reginald W. Hadland], Birtle Eye Witness, 27 September 1966, page 1. 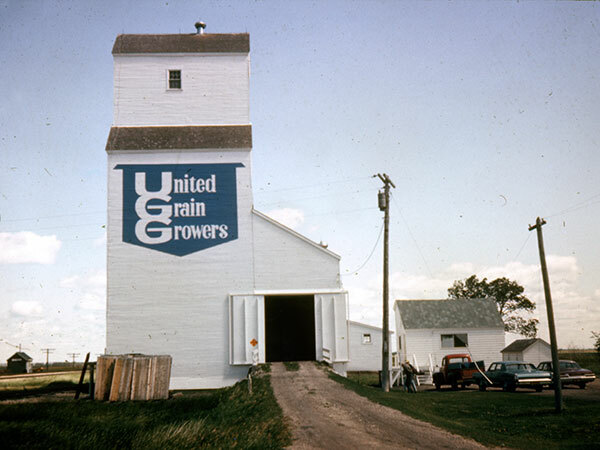 United Grain Growers Fonds, MSS76, Box 60 [Portage la Prairie], University of Manitoba Archives & Special Collections. Obituary [Claire Moffatt], Central Plains Herald Leader, 28 August 2010, page 42. We thank Shaun Moran for providing additional information used here.